Deciding to take action towards a goal or hidden ambition can be intimidating for just about anyone. When there is no telling what will come of your efforts, we are often hesitant to try something new. Regardless if you are on the cusp of quitting your current job, entering a new relationship, or are just unclear as to where your life is headed; decisions and actions are a part of everyday life. With every passing minute we are making decisions for our lives. While some decisions are fairly straightforward and simple, others require a lot more thought and preparation. How naturally does decision-making come to you? Are you an over thinker? Do you generally take significant risks without looking back? Do you like to test the waters before deciding to dive in head first? No matter your style, making decisions that can alter the course of your life is no simple feat. One thing that my parents always used to tell me, which remains true to this day, is that we’ve got to start somewhere. When it comes to decision-making no matter how large or small, the decision to just start is just as important as the result you’re looking to achieve. “Life is a journey, not a destination.” Ralph Waldo Emerson When we can give ourselves permission to just start playing with an idea or ambition we tap into our courage, confidence and choice. We push aside any negative thoughts we might have and we create a space for our curiosity and creativity to emerge. Possibilities and natural openings can only be seen when we clear away the clutter of our negative thought patterns. Think positive thoughts and the right path will start to present itself. Taking the first steps into the unknown is scary, but what’s even scarier is settling for the dissatisfying, safe and redundant. When you find yourself at a crossroads and you’re looking for a change it’s important that you first acknowledge those things you know you don’t want to take with you on the rest of this journey. Pack only those things you know will serve you. Starting something new often requires that you unload some of the old things that have burdened you for too long. When drafting this list be sure to include any limiting beliefs you know you currently hold that will only succeed in keeping you small. When we unload what’s been weighing us down we stand a bit taller, and see a bit clearer. Pack lightly. Negativity will weigh down but positivity has the power to propel you forward. Every so often I ask my clients to take an inventory of their values. This is a great way to get a visual of those things that matter to you the most. Values impact the way you live and work. They guide your actions and impact the decisions you make on a consistent basis. When you take inventory of your values you give yourself permission to review what course your life is currently taking. You examine if your actions are in alignment with your values and you give yourself an opportunity to make changes where necessary. When was the last time you reflected on the things you value most? Next time you start to feel like your life has gotten off course make a list of the things you value and take a look at how your values are matching, or, not matching up with the everyday actions you are taking. This is a great way to reprogram your life and refocus your energy on being true to yourself. There is no victory too small that doesn’t merit some degree of acknowledgment. All too often we get in the habit of just focusing our energy on the END PRODUCT. Never stopping to acknowledge the minor victories that have gotten us to where we are today, we lose sight of the all important steps that lead us to our biggest achievements. By practicing being fully present we can slow ourselves down to take notice of these moments. These are the moments that help to keep us going. Small victories serve as a ray of hope when we find ourselves feeling overwhelmed or disempowered. Next time you find yourself working towards a long-term goal devise a list of the short-term goals you might organically achieve along the way. These goals help to recharge your batteries and help to keep your momentum and ambition alive. When you decide to take those first steps towards a new goal or ambition you already have cause to celebrate. You are listening to your future self and acknowledging that the journey you are about to embark on is necessary for your personal development. Your goals are deeply connected to your values and so keep them always at the forefront of your mind. Revisit those things you value the most, take the first step towards a goal and see things through till their completion. Celebrate these moments. It takes courage to take action and these actions no matter how big or small merit your acknowledgement and celebration. Recently I read a wonderful article written by the founder of Muse. In this article the author asks its readers to ponder the concept of saving ones time by doing less. I am all about using my time wisely so I was immediately drawn to this article and the helpful tips it provided. 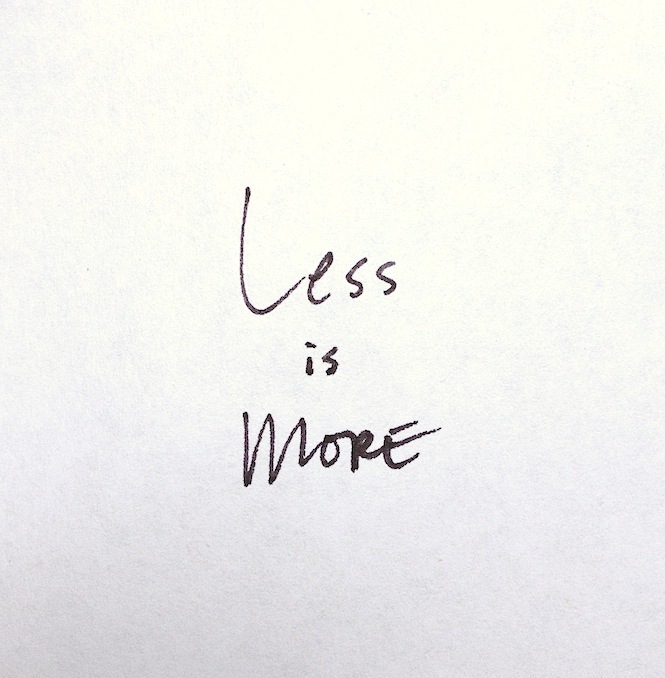 In reading Saving time by doing LESS, I believe the most impactful statement made by Alex Cavoulacos was that people need to begin acknowledging “what not to do, and what to stop doing in order to lead happier and more productive lives.” I happen to agree 100%. As a life coach I think it’s important that people take a regular inventory of their daily tasks and responsibilities to decipher between the things they feel are really important vs. the things that are secondary to their happiness and ultimate productivity. We are constantly allowing ourselves to be pulled in a hundred different directions. What this habit often results in, is us being dissatisfied with where our choices have taken us and to regret those things we have yet to accomplish. Putting ourselves second by taking on what could ultimately be delegated to someone else or just removed entirely from our priority list only results in us drifting further and further from our highest potential. What should you be doing with your valuable time? What tasks and various ambitions keep your mind occupied in a positive and productive way? These are the things that are important to you. These are the things you are willing to put the time and effort into protecting and nurturing. As Alex Cavoulacos describes in her article it is important that we ask ourselves the questions she highlighted as they can aid us in gaining insight into how we are using our time. Take some time to reflect on the decisions you make today and the tasks you decide to tackle. Are these tasks and responsibilities benefiting your ultimate growth and evolution or are they satisfying someone else’s agenda? How much more time are you willing to waste on things that aren’t necessarily important to you. The more you permit yourself to engage in the things that matter to you most, the more you will recognize that your time is not being monopolized, but optimized. When we engage in things that matter to us we spend more time enjoying our lives and less time wondering what if our situation was different. 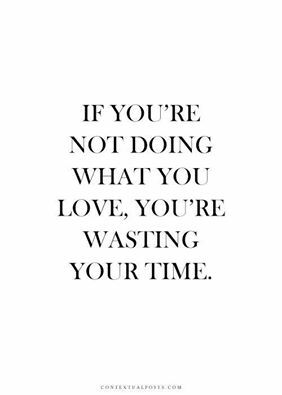 Do yourself a favor and save time by doing more of what you love and less of what you don’t. Appreciate your voice. It is the reason for your existence. All of us were put on this earth because we each serve an essential purpose. Regardless of our profession, religion, gender, sexuality, or economic status, we are each powerful in our own unique way. Gifted with a voice to impart our thoughts, ideas, and dreams to impact change, there are no limits to the power we carry within us. Share your voice with the world. Impart upon us your innate wisdom and divinity. What you have the capacity to contribute should not be kept hidden or locked away. Have faith that what you came here to do is something unique unto you. This voice is yours to use everyday. How you choose to use it is solely up to you. In a world full of comparison, competition, envy, and self-doubt it comes as no surprise that so many of us feel limited in our capacity to use our voice to reach new heights. We lock away what we fear might not be understood by the masses. We keep ourselves small and allow for our voices to become only a whisper among the crowd. When we lock away these voices, we lock away our own capacity to attain self-actualization. We take on the voices of others and trade our authenticity for a life dictated by the judgments and ideas of others. This is not a life. This is the imprisonment of a soul. Do you find that you have hit a wall in life? Have external stressors impacted the course of your life in a negative way? Do you even know where to begin in order to get your life back on track? Life challenges come in varying shapes and sizes. Whether you are faced with an unpleasant event, a mild stressor, or a challenging life experience, these events can all have a significant impact on your life. How does one learn to cope with the curve balls constantly being thrown their way? Obstacles will continue to present themselves in your life, but you have the power to determine how you respond. With every obstacle comes a new opportunity for growth and development. It takes a great deal of courage to decide when enough is enough, but only you have the power to make that call. Will you succumb to the circumstances thrust upon you or will you learn to make each obstacle work in your favor? If you can adopt the mindset that some of the experiences that happen to you are outside of your control then perhaps persevering through some of the challenging times won’t appear so out of reach . As human beings we have an amazing ability to adapt to our surroundings and the events we experience. While some individuals tend to adapt to certain situations better than others, it really all depends on the individual and their own limiting thoughts. Whatever the life event, human beings have the ability to overcome the obstacles placed in their paths. This is not to say that overcoming obstacles is easy, quick, or requires little effort on the part of the individual. Is it possible?Yes! If you can answer YES to more than half of these statements, it might be time for a change. 1. My commute to work is a nightmare! 2. My hours are endless and overtime is not an option. 3. My position is mediocre and i know i can do better. 4. I am in a hostile working environment. 5. I do not agree with the work culture that exists at my job. 8. My efforts and hard work are rarely, if ever recognized. 9. I am constantly being singled out unfairly as the culture in the office likes to play favorites. 10. There are little to no opportunities for growth in my position. 11. I am constantly called to conform. Innovative thinking is met with extreme resistance. 12. I am forced to take on additional responsibilities without compensation and support. 13. My daily routine has become mundane. 14. There is lack of creativity in my job. 15. My position is not met with much respect. 16. I do not get along with my coworkers. 17. My day is filled with useless conference calls, meetings, and busy work. 18. Some of the practices i observe on a daily basis are questionable. 19. The higher level management at my job are incompetent. 20. I am sometimes forced to suppress my personality in order to fit the mold at my job. Year after year I hear the same four words coming from peoples mouths, “I HATE MY JOB”. So what do you do when you find that you have become one of those people that aren’t happy with their job or career choice? Do you continue to go to work miserable and bitter? Do you let everyone around you know that you are unhappy with your job and work environment? In my opinion the best medicine is to talk it out with someone who can give you the tools to make a change. A life coach can help.